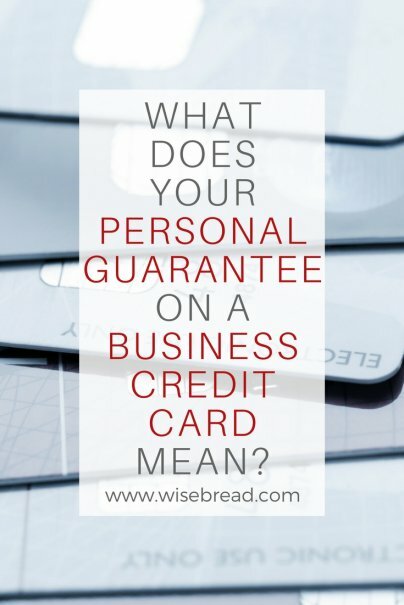 What Does Your Personal Guarantee On a Business Credit Card Mean? Home » Personal Finance » Credit Cards » What Does Your Personal Guarantee On a Business Credit Card Mean? Millions of Americans own their own businesses, and each one of them can potentially qualify for a small business credit card. Small business credit card holders need to be aware that they are personally liable for repayment of their charges, but what does this mean? There is a type of business card that doesn't require a personal guarantee, but that's a corporate card designed for larger companies, nonprofits, and government organizations. Can you get a business credit card without a personal guarantee? It's possible to get a small business credit card without a personal guarantee, but it's not easy and it takes time and patience. It helps if you keep your personal credit record pristine, while building your business credit scores. FICO, Equifax, and Experian all have their own business credit scores, but the Dun and Bradstreet score known as Paydex is one of the most widely used. To get a Paydex number, you have to file for a DUNS number through the D&B website, and the bureau must have payment records from at least four vendors. You build your business scores over time, by using small business credit cards responsibly, keeping your credit utilization ratio low, and paying on time every month. But not all small business credit cards report activity to the credit bureaus. Some only report negative activity such as delinquencies, and others don't report at all. Check with any credit card you're considering applying for to see if and how they report to the credit bureaus. If you get a small-business loan, line of credit, or trade line from a vendor who reports to the business credit bureaus, that also helps build your business credit. Loans backed by the Small Business Administration are guaranteed by the SBA and are therefore very attractive, but they're also hard to get. Another way to get credit without a personal guarantee is to grow the business to the point where it meets the revenue and size requirements of some creditors. For example, one major retailer offers a business card that doesn't require a personal guarantee for businesses with at least $5 million in revenue. Others may also require collateral such as business equipment. Getting business credit without a personal guarantee is not a quick process. Count on needing a personal guarantee for the first three to five years of your business. 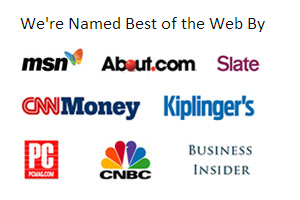 In the meantime, focus on growing your company, building your business credit score, and making all payments on time.